Situated in the very Southwest of India, the culture of this tiny Indian State of Kerala is quite different from those of the Indian Subcontinent. For ages the mountain range Western Ghats was a natural barrier towards the Indian mainland, but open to influences across the Arabian Sea. 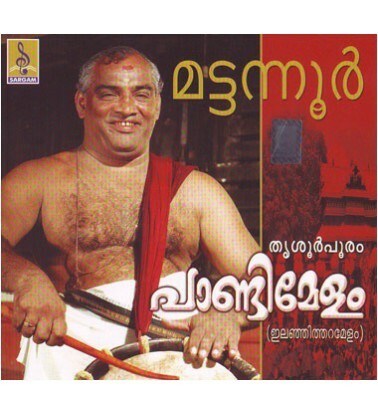 This relative isolation from the rest of India and the openness towards the sea created an incredibly rich and diverse music, dance and drama styles that continue to flourish in Kerala. 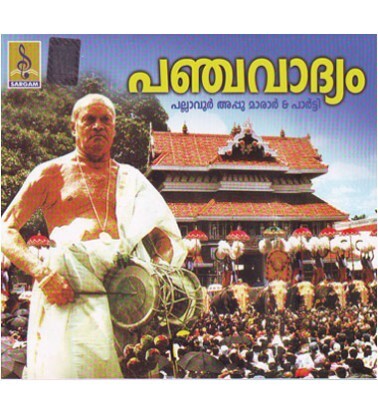 The rhythm ensembles of the present age were first heard about 1,420 years ago during the Peruvanam-Aarattupuzha Pooram festivals. 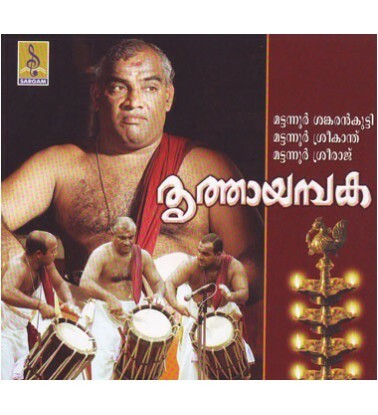 The traditional percussion ensembles in the Temples of Kerala have enthralled millions over the years. The unique tradition of this Temple Arts emphasizing rhythm is now available as a comprehensive collection in an audio-visual format. 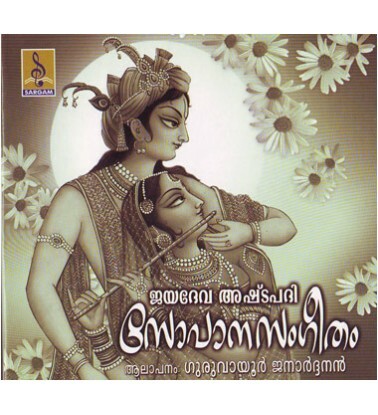 Sopana Sangeetham Audio CD Malayalam Krishna Devotional Jayadevar Astapathi traditional music sung b..